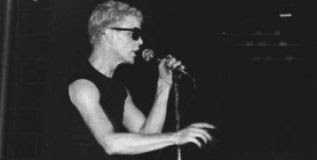 By request from Ashkan, here is the famous (or infamous) Metal Machine Music by the incomparable Lou Reed. Though now denied, MMM is often cited as having been released as a deal-breaker with his record company. But in many ways, given the history of the Velvet Underground, MMM is a logical cul de sac. 64 minutes of relentless feedback from two guitars spread over four sides on vinyl, if you can get over the feeling of being assaulted, there is something quite funny, and playful, or perhaps just hypnotic about it.